Everland, the biggest theme park in Korea, is offering foreigners 40% off discount tickets via Trazy.com, the official seller of Everland. With Trazy, you can book Everland discount tickets instantly and effortlessly! Trazy offers monthly early bird discount for Everland! Every month, if you book your Everland ticket between 10~20th, you can get up to extra 9% early bird discount for your visit in the following month, between 10~20th. Moreover, throughout the Spring months of April and May, you can get a FREE Q-Pass (Express Pass) for an attraction of your choice (T-Express, Lost Valley, Safari World, Amazon Express, Panda World). There are several Everland combo packages that can help you to have more fun in Korea according to your taste and interest. First, there is a the most popular water park in Korea next to Everland, which is Caribbean Bay. You can get a combo ticket for Everland and Caribbean Bay at a special discounted price. If you book the tickets for Apr 20~May 31 visits, you can get 2 free sheet masks per person. Save time on your research and just simply book this all-inclusive package that includes a ticket and a shuttle bus ride for Everland. It is the most convenient way for a trip to Everland! Here’s why you should consider booking a shuttle package. You can avoid all the hassle coming from figuring out the transportation! You can choose when to come back. If you want to have more time at Everland, choose the night bus option! It’s cheaper than purchasing a ticket and shuttle bus separately! 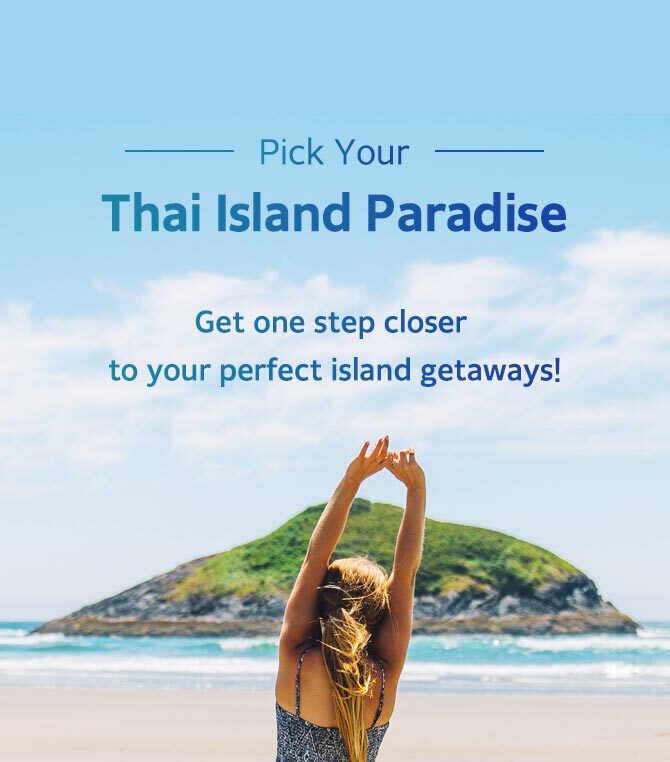 Looking for more deals on Everland? 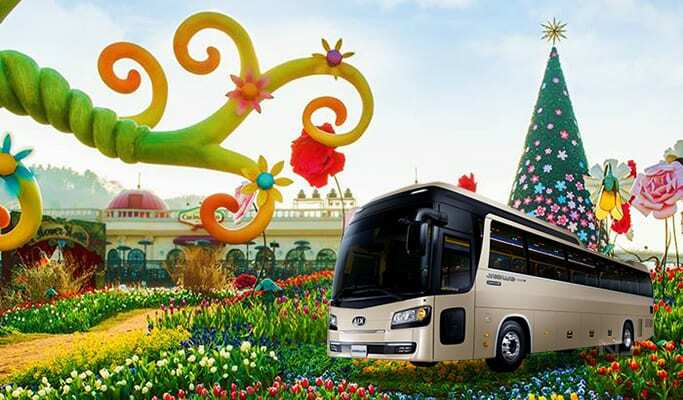 For those who need a ride to Everland from Seoul, this round-trip shuttle bus service is perfect for you. You can conveniently get to Everland theme park from 6 major locations in both northern and southern part of Seoul and Suwon. See the full timetable for Everland shuttle bus here. ※ For those who want to stay until late to watch the night parade or the fireworks, booking a private van or the Everland Full Day Package is highly recommended. Want a private driver and van to pick you up from your hotel in Seoul? Do you want to stay at Everland until the night parade? Trazy’s private van package offers a comfortable trip to Everland from Seoul! If you want to spend the whole day at Everland with your friends and family, this is the perfect option for you. There’s a promotion until March (before Everland’s official price increase), so it will be $203 ($29*7) in total. If ill get 7 tickets for everland. Do i need to submit complete name for all of us? How much for 5 pax? One is senior , any additional discount? I’ve read in one of the travel blogs if you get 4 tickets , one is free, is this true? Nearest pick up station near Sichon area? Hi there. we don’t have separate tickets for the senior. Because we already offer at a discounted price, there is no extra free deal for this package. The price is $36 per person until the end of march. When will i get our voucher if will book our ticket for march 23, 2016? Will be there by march 21. Can i still purchase nami petite france and rail bike for march 22? When can i get our voucher? I would like to book Everland Ticket for two person on 29th April 2016. Kindly provide me the price and details for payment. I’m watching the weather report for a specific date. How last-minute can I book my tickets for a given date? For the ticket+shuttle package, 2 days in advance. For the ticket only, 1 day in advance. This discount is great, and the Trazy people are good to work with, if there’s an issue! Hi Trazy, I would like to book tickets for 2 for thursday 5 May but i am unable to buy it as the option is not available. Could you assist me in the purchase? Thanks! We’ve sent you a detailed answer to your e-mail address that you wrote when you wrote this comment for better communication. Hi do you pickup at best western niagara hotel for the everland resort? I bought 5 tickets for Everland for Spring break but did not go because of weather. In the email, it states that I can use the tickets anytime before Dec. I just wanted to make sure that is really the case. Also, do we have to carry any identification to prove we are foreigners? Yes that is right, you can use the ticket until the end of the year. And if you’re a Korean American, you need to bring ID for verification. My friend and I will be in Seoul in June. We are planning to purchase Everland Ticket + Shuttle. Our hotel is located in Myeongdong, at what station should we choose to be picked up? Is there a Myeongdong Station included in the choices? I’m sorry I can’t recall now. Will appreciate your immediate reply. i have submit my booking for 3 adults and 1 child this morning for everland on 1st June 2016 but I have yet to receive any confirmation. Hello there. It seems like you haven’t completed the payment through paypal. If you completed your payment, you would have received a confirmation mail from paypal and another from us. We sent you a money request so that you can just complete your pay so please check your e-mail. Hi. I am from Philippines. Will book here.. Will i receive voucher in my email or mobile ticket too? Hello! If I book todya, can we use it immediately on Nov. 3, 2016? Thank you!